Detecting feature interactions is imperative for accurately predicting performance of highly-configurable systems. State-of-the-art performance prediction techniques rely on supervised machine learning for detecting feature interactions, which, in turn, relies on time-consuming performance measurements to obtain training data. By providing information about potentially interacting features, we can reduce the number of required performance measurements and make the overall performance prediction process more time efficient. We expect that information about potentially interacting features can be obtained by analyzing the source code of a highly-configurable system, which is computationally cheaper than performing multiple performance measurements. 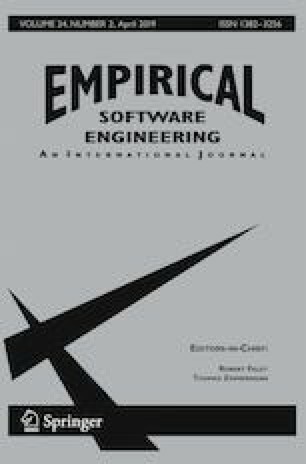 To this end, we conducted an in-depth qualitative case study on two real-world systems (mbedTLS and SQLite), in which we explored the relation between internal (precisely control-flow) feature interactions, detected through static program analysis, and external (precisely performance) feature interactions, detected by performance-prediction techniques using performance measurements. We found that a relation exists that can potentially be exploited to predict performance interactions. Kolesnikov’s, and Apel’s work has been supported by the German Research Foundation (AP 206/5, AP 206/6, AP 206/7, AP 206/11) and by the Austrian Federal Ministry of Transport, Innovation and Technology (BMVIT) project No. 849928. Siegmund’s work has been supported by the German Research Foundation under the contracts SI 2171/2 and SI 2171/3. Kästner’s work has been supported in part by the National Science Foundation (awards 1318808, 1552944, and 1717022), the Science of Security Lablet (H9823014C0140), and AFRL and DARPA (FA8750-16-2-0042).